One of the most common offenses that I am called upon to represent people for in New Jersey is driving with a suspended license. The reason for your suspension is very important in determining what the penalty is going to be. I have been very successful in negotiating plea bargains for my clients who are charged with these offenses in most cases. The penalties for a first offense include a $500 fine and up to 6 months loss of license. For a second offense, it’s a $750 fine, 1 to 5 days in jail, and up to 6 months loss of license. For a third or subsequent offense, it’s 10 days in jail, up to 6-months loss of license, and $1,000 fine. These penalties are quite serious. Call my office immediately and I will be more than happy to assist you with your particular case. 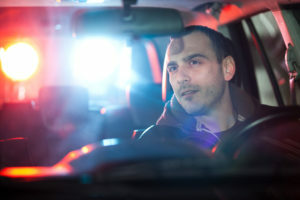 If you are caught while driving on a suspended license are you are under the influence of alcohol, there are even further penalties that you will have to face. There are also penalties for a motorist with a valid license who allows a person with a suspended license to operate their vehicle, which include fines between $200 and $500 as well as the possibility of facing jail time.